Other Officials and Township Staff Present: Frank Sturm II, Road Commissioner and Mark Brabant, Assessor. Clerk, Garner, presented the minutes of the Road District Budget Hearing held June 13th, 2018. Supervisor Dawson moved to approve, as presented, seconded by Trustee Clinch; followed by a unanimous “Aye” voice vote with Trustee Gudat abstaining. Clerk, Garner, presented the minutes of the Town Budget Hearing held June 13th, 2018. Supervisor Dawson moved to approve, as presented, seconded by Trustee Molohon; followed by a unanimous “Aye” voice vote. Clerk, Garner, presented the minutes of the Regular Board Meeting held June 13th, 2018. Supervisor Dawson moved to approve, as presented, seconded by Trustee Gudat; followed by a unanimous “Aye” voice vote. Community Policing Report: Deputy Rial was not present. Public Input: Supervisor Dawson offered public comment with no request received. Investment Report: The Investment Report ending on July 11th, 2018 was accepted as presented by the board. Supervisor Dawson presented correspondence from township counsel with update on renewing intergovernmental agreement between City of Peoria and Medina Township. To date, there has been no response to inquiries. Supervisor Dawson presented recommended changes from Redman Accounting. Data will remain same but will summarize. We will receive bids for the Misc. Concrete Project on 07/13/18 and for the 2018 Pavement Maintenance Project on 07/20/18. I have been in contact with Cargill, regarding rock salt. Should have a contract in place by the middle of August. We did get the license agreement with Last Chance in Alta, waiting for executed copy. We did get the culverts removed and replaced on Ivy Lake Road, in preparation of tilling and seal coating. I just got the survey data on Hendrix Lane. Trying to resolve issue with sump pump. Received a call from Traders. There is a house in River Ridge that was started about 3 years ago. Owners just stopped construction. Lot is a mess, inside of house is moldy, and neighbors are upset. He called to see if township could help get it demolished. Told him there wasn’t much the township could do. Received a call from a resident on Poplar/Silverleaf. Complained about potholes and 2 abandoned houses. 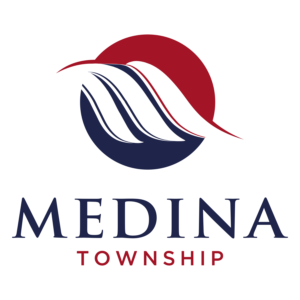 We reported that Medina Township will have 3% negative multiplier this year. Still receiving 3-4 requests for reassessment each week. Trustee Clinch reported dead tree limb over right-of-way. Will provide address to Road Commissioner to address. Audit Completed by Wolf & Tesar: Supervisor Dawson advised that audit has been completed with report expected next month. Audit went well. New Website Completed: Supervisor Dawson advised that website is active. Medina Park Field Modifications: Supervisor Dawson presented plan to add fence along entrance roadway adjacent to field 1. Bid has been secured from Hohulin Fence and Security Fence is presenting bid. After discussion, Trustee Clinch made motion for Supervisor Dawson to accept lowest acceptable bid to complete work, seconded by Trustee Molohon. Supervisor Dawson directed roll call vote. Clerk Garner took roll call vote with Trustees: Gudat, Molohon, Clinch and Supervisor Dawson voting “aye”. Motion passed. Medina Park Incident Report: Supervisor Dawson reported on incident report on injury to minor child at park. Foul ball left field of play deflecting off tree striking minor child in head. Josh Benway, President of MMYBSA, reported incident to Supervisor Dawson within an hour of incident. Accident report was submitted. Last report was that child was released from hospital with no complications, later that day. Township/Road District Bills Audited: All bills of the Town and the Road District were audited and approved for payment. All bank accounts were reconciled and found to be in order. Trustee Molohon moved to pay the bills, seconded by Trustee Gudat followed by a unanimous “Aye” voice vote. Adjournment: There being no further business to come before the board, Trustee Molohon moved to adjourn, seconded by Trustee Clinch, followed by a unanimous “Aye” voice vote. The meeting adjourned at 7:38 PM.